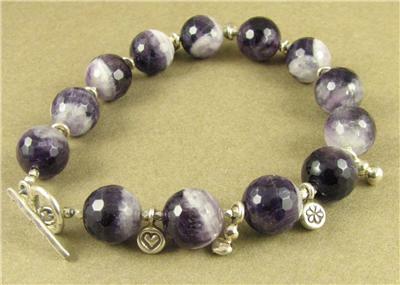 Home › Bracelets › Amethyst and fine silver charm bracelet. Fine & sterling silver. Handmade. 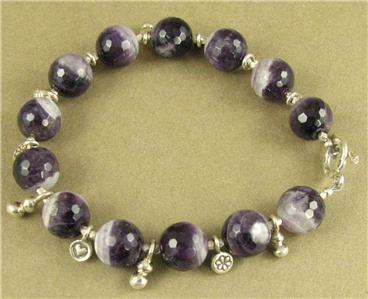 Amethyst and fine silver charm bracelet. Fine and sterling silver. Handmade. 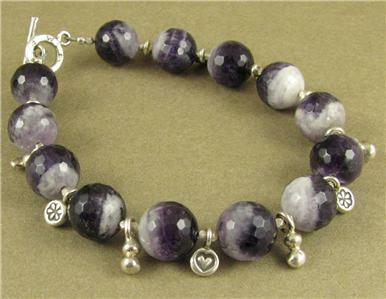 This is a gorgeous amethyst and silver bracelet with small hanging beads between every stone. 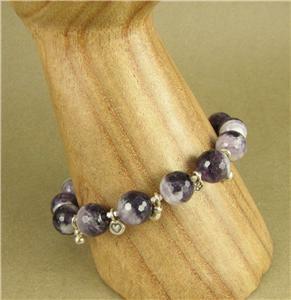 The stones are natural amethysts which have been faceted to catch the light beautifully. 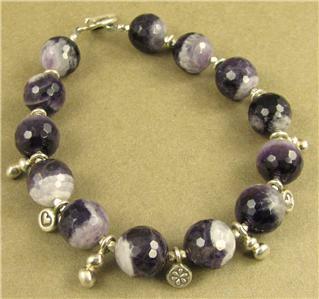 They are variated amethyst, which comes with natural white flecks inside. 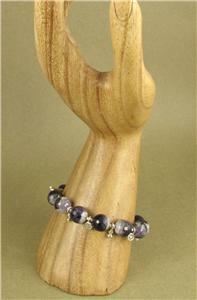 The catch, the beads between the stones, and the hanging beads are all extremely pure fine silver (98% purity). 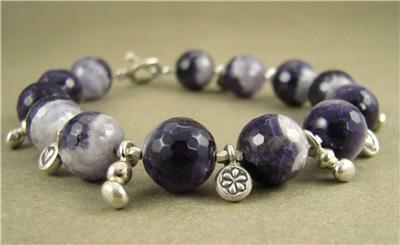 The tiny closing beads to finish the bracelet are sterling silver (92.5% purity). The bracelet is 8" long. I travel every year to seek out old and tribal silver from Asia and India along with semi-precious stones. Back at home in Brighton, England, I make these loose pieces up into beautiful and unusal jewellery. 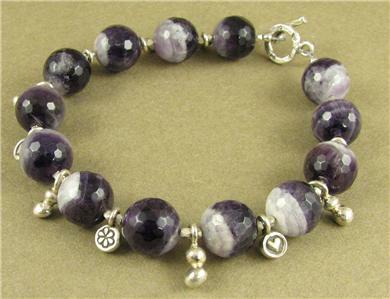 Amethyst cubes/squares bracelet. Fine and sterling silver. Handmade.